There is new evidence showing the effectiveness of PRP Therapy as a non-surgical medical procedure to treat hair loss and thinning hair. Charles E. Crutchfield III M.D. has seen significant results in patients seeking treatment for hair loss (Alopecia). Using the patient’s own blood, we create a concentration of Platelet Rich Plasma to promote hair growth and rejuvenation. 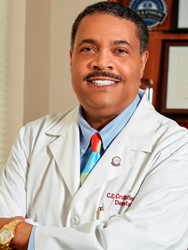 Charles E. Crutchfield III M.D. explains the treatment and its benefits:”PRP therapy uses the patient’s blood to create the ideal formula of Platelet Rich Plasma. Platelet Rich Plasma is a breakthrough treatment option because it is safe, non-surgical and the results look natural. Dr. Crutchfield has years of experience treating hair loss (alopecia) with success. He is excited about new developments that have made platelet rich plasma therapy a viable option in treating Alopecia. “When we inject PRP into the area of hair loss, it causes a mild irritation that triggers your body to heal, explains Dr. Crutchfield. Dr. Crutchfield has seen a significant increase in the number of patients inquiring about this therapy. Estimates are that nearly 100 million Americans suffer from hair loss. PRP for Hair Loss Therapy is a breakthrough treatment option because it is a safe, reliable treatment that is short and non-surgical. The recovery period is fast, and the results look natural.